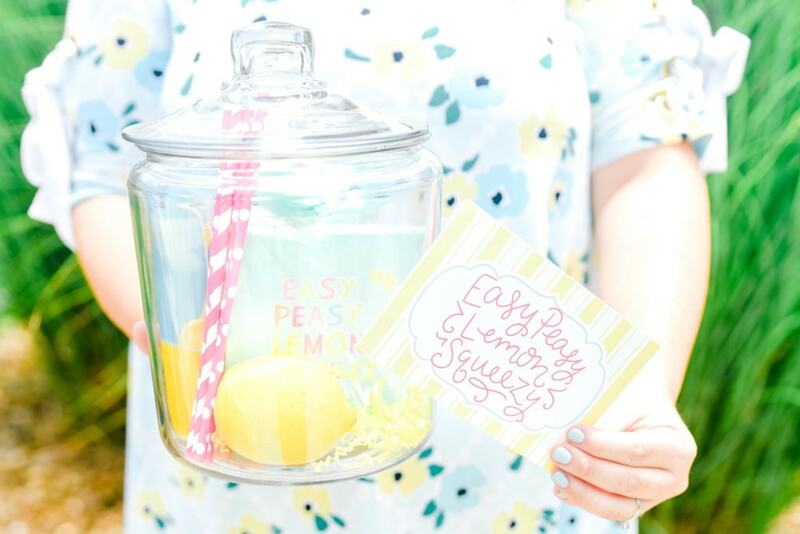 Make “Easy Peasy Lemon Squeezy” come to life with a Lemonade Stand! 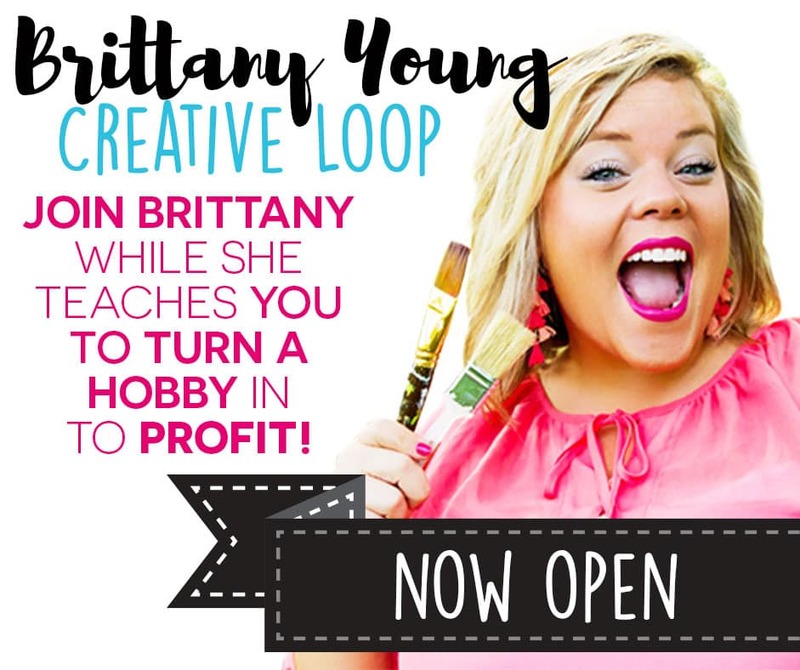 Roll out your trusty, multi-tasking bar cart and the rest just seems to fall into place! That’s right, our bar cart is workin’ over time this summer, ya’ll! But, what’s the point in having something if you’re not going to use it! 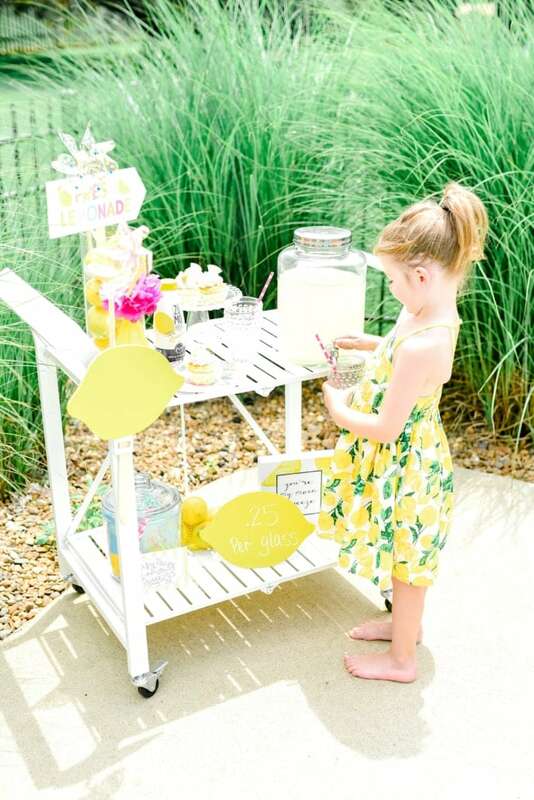 That definitely is not the case for our go-to bar cart, currently playing the role of the bones holding together our lemonade stand! 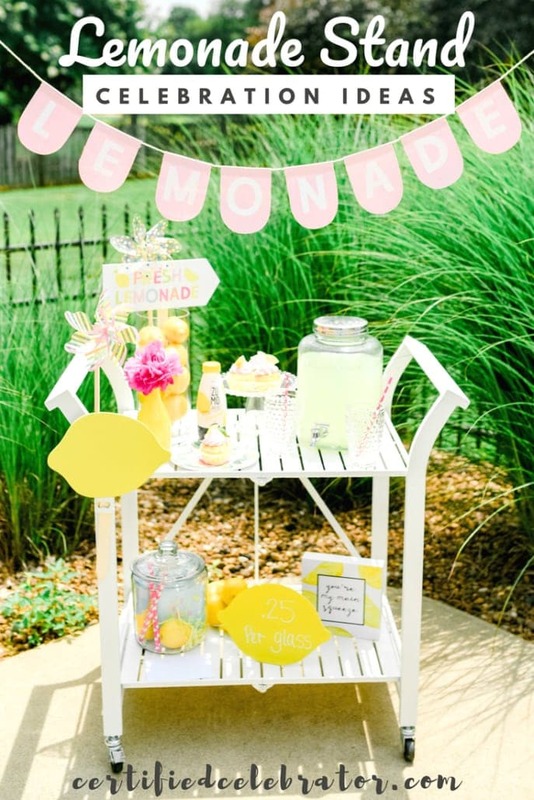 Whether you’re hosting brunch with the girls, throwing a baby shower, or a Lemon-Themed Birthday Party, or the kids are doing a pop-up Alex’s Lemonade Stand in the neighborhood, a little extra oomph in the decor department will bring the celebration! A simple banner, a few grocery store flowers, and some added pops of color bring the smiles to this stand! 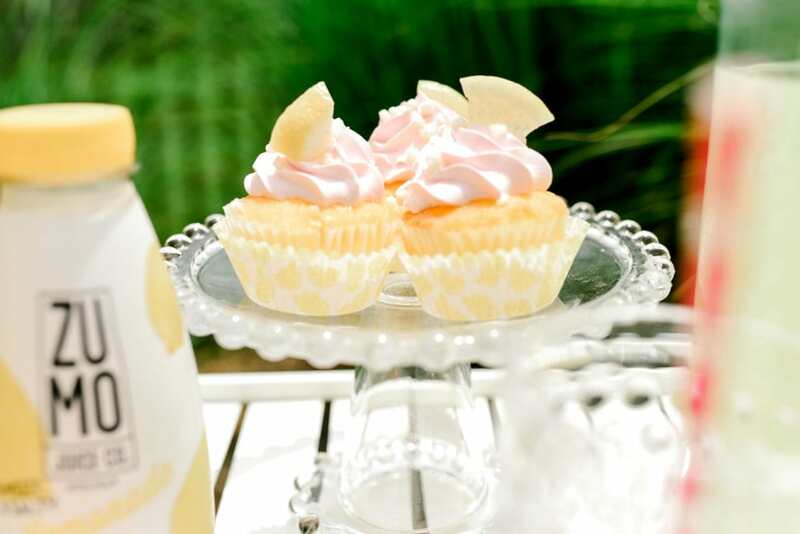 For our Lemonade Stand, we like to serve Halfway Homemade cupcakes, of course! These pink strawberry cakes are from the grocery store, we simply added a piece of lemon and mint on top to give it a little extra flare! 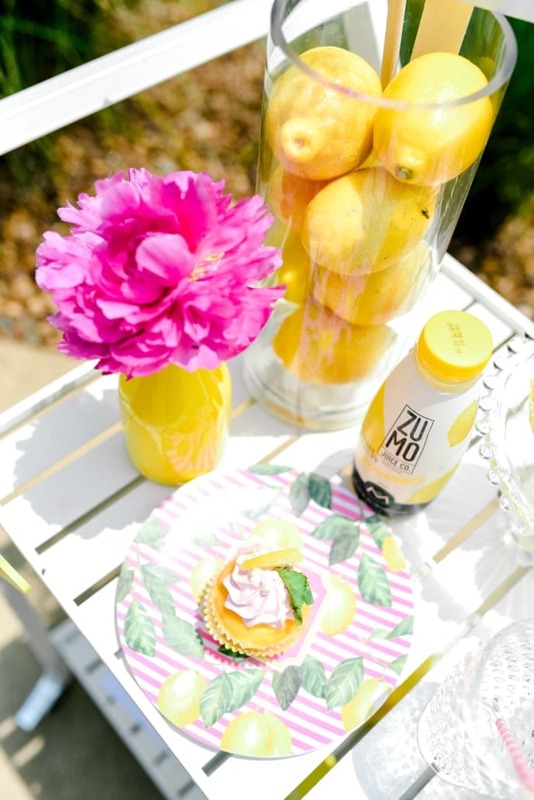 The strawberry and lemon flavors go extremely well together and are so deliciously refreshing. 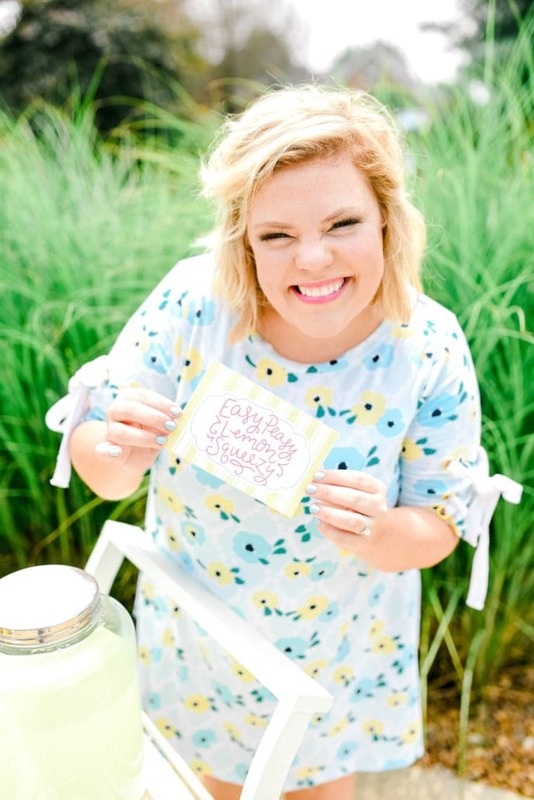 This is Olivia, daughter of Jenn – our Creative Director. Isn’t she the cutest?! 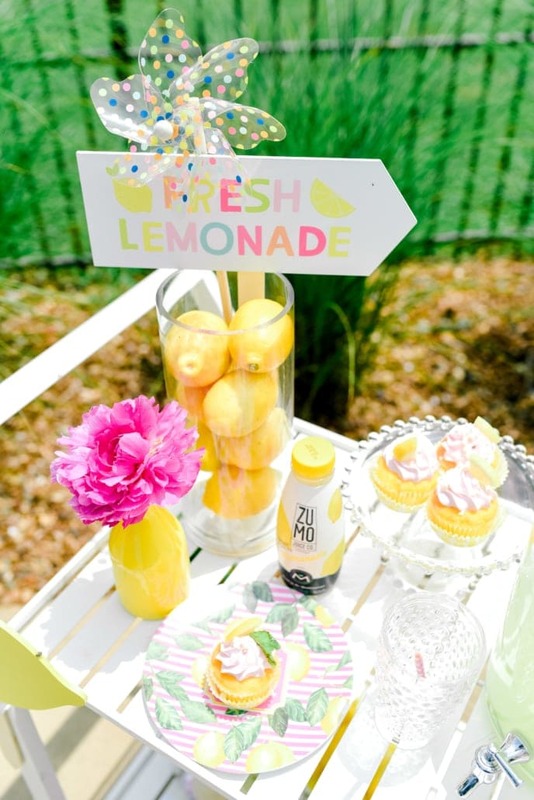 We also thought Lemonade would be a great summer giftie theme! You know my obsession with apothecary and gift jars, that’s an easy start! 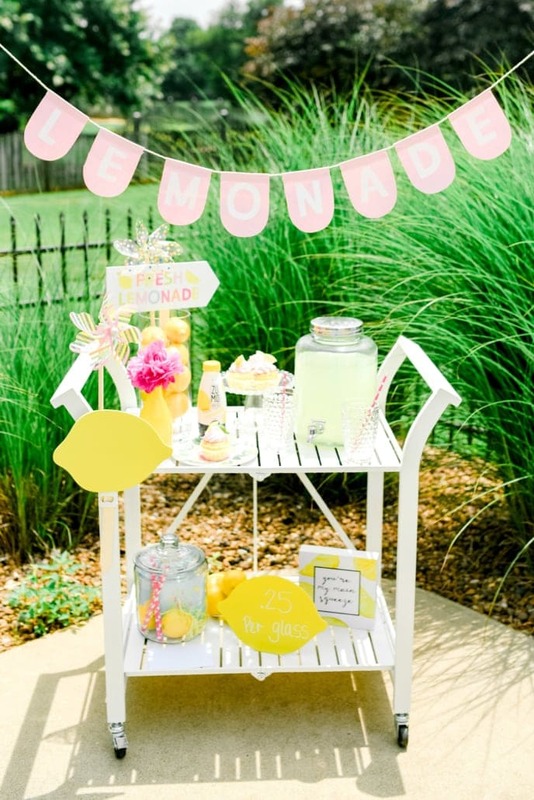 Add a couple packs of lemonade drink mix, a few fresh lemons, sassy straws, and some cute bright colored cups and there ya go! Loving this card to compliment the gift! Still on the fence about making a bar cart a staple in your home? Not only could it serve a daily purpose as a coffee bar or additional counter top or organizational space in your kitchen, but it is also great to break out for parties! Check out these other celebrations starring our cart!